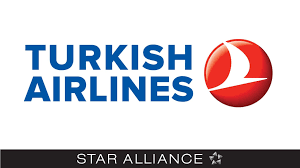 Turkish Airlines is Europe’s best airline with flights to across 110+ countries from Istanbul. It is headquartered in Istanbul and has many subsidiaries. It has designed a page called Fly good Feel good where you can find the best tips on various topics like nutrition, exercise and more. Enjoy up to 25% discount on miles charged for domestic round-trip and one-way flight ticket booking. No coupon code is required to avail the deal. Utilize a given coupon code to avail the deal and get 10% off on International flights (MMT) by Turkish Airlines. Book it now! Book your children tickets at Turkish Airlines and get up to 25% off on your booking. Now avail the deal without using any coupon code. Book your flight ticket through Turkish Airlines and get Mumbai-Paris round trips starting from Rs. 38,829. Avail this fantastic offer by clicking on Get Deal button and enjoy the safe and comfortable journey with Turkish Airlines.